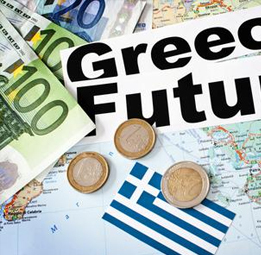 Greece continues to show considerable structural weaknesses and problems in attracting foreign direct investment, according to the chief executives of major foreign groups with a presence in this country. Although in certain sectors there is the sense of some steps being taken in the right direction, and the general economic concerns are subsiding, any investment moves that are considered concern small amounts of capital, definitely below those required for the country to return to robust growth. These are the main conclusions of a Metron Analysis survey presented on Tuesday at the InvestGR forum in Athens that focused on foreign investment in Greece. The companies that participated in the event have invested some 2.3 billion euros in the country over the last five years, which amounts to about 20 percent of total FDI in Greece in that period. “Despite the positive fact of the exit from the economic crisis, a series of inherent factors remain as obstacles to attracting investments and are assessed negatively,” said chairman and chief executive officer of Metron Analysis Stratos Fanaras.